As a marketer, there are few things worse than spending a bunch of time and resource on a campaign and only catching a few small fry, especially when you really needed to reel in some big, valuable fish. For large organisations with huge, complex customer bases, casting a wide net in marketing campaigns can seem like the easiest option – but this approach often means that the big fish are so mixed in with the small fry that it’s nearly impossible to separate and catch them. 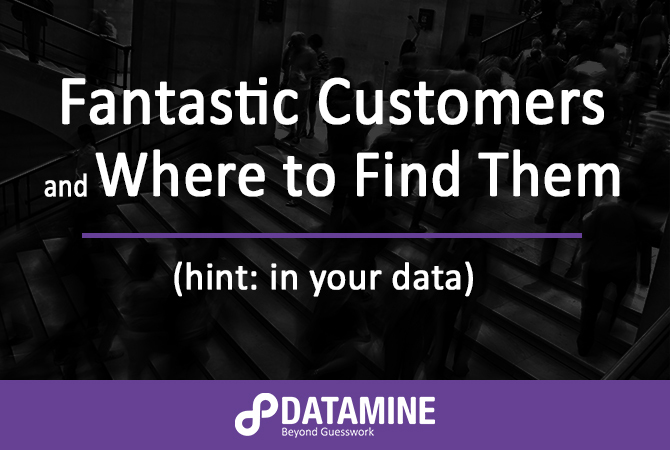 The desire for deeper customer insight and the identification of high value customers are two of the most common challenges businesses come to Datamine seeking help with. And while there are multiple solutions to any problem, we’ve found that one of the best ways to locate and market to the highest value customers in your database is by first doing a customer segmentation. 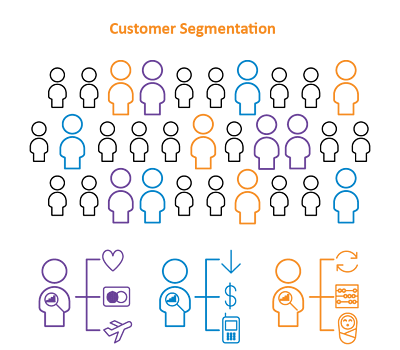 What is a segmentation, and how can it enable deeper customer insight? Segmentations provide a framework or benchmark for monitoring the effectiveness of your strategies, both with marketing and beyond - the customer insights from within your data can be used across a number of areas, such as marketing, product and operations. Where to begin with a customer segmentation? Stakeholder involvement is key. Before embarking on a segmentation, work out who will be impacted by it and ensure their business needs are being met. Buy-in from leadership and commitment to delivering the agreed outcomes will make the project infinitely more rewarding for everyone involved. 4. Measuring - test and refine your segments. How accurate are they, and what is the benchmark? 5. Reviewing - segments should be reviewed and improved on an ongoing basis. If you’re keen to look more into doing your own customer segmentation, download Datamine’s Customer Segmentation Whitepaper (which goes into more detail on the five steps listed above) by clicking the image below, or get in touch with us for a free phone consultation. In the meantime, here is a case study outlining the segmentation work Datamine did for one FMCG client looking to capitalise on its high value customers. Although this segment only accounted for 8% of the retailer’s total customer base, they accounted for 29% of its total customer spend. As these high-value customers were already spending, the retailer focused on providing more relevant and timely offers to this group. They ultimately achieved greater promotional response rates and a significant return on investment. Analytics is expensive. What will I get out of it?